Let's see how this thing works, I played with Ghost a few years ago. If I wanted to put a picture of a penguin dancing I'd do something like. Seems to work.. The live view is neat as well. wonder what code blocks look like. Well on to the fun stuff. I've been playing around with some embedded boards for the last few years, mainly revolving around my beer brewing hobby. 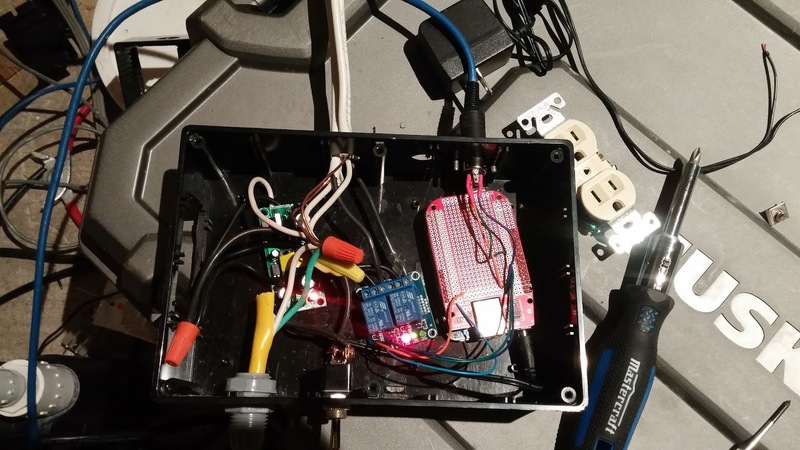 I built a fermentation chamber controller using a BeagleBone Black and some ds18b20 1-wire temp sensors hooked up to an unholy mess of wires and SSR's. This limped along well enough for awhile, and was hooked up to a Web UI using Socket.IO for event driven data pushes. The SSR's were way overkill, being the same 40A ones I used in my Brewery control panel and required a lot of physical space which prevented me from building the controller into a single project box. I started on a version 2 where I replaced the SSR's with a much smaller dual relay control board which fits in the same project box as the BBB and makes for a lot less wiring, although it's still a bit of an unholy mess. My latest work project involves some wifi testing apparatus, we needed to drive 16 wifi clients for some load testing and instead of buying some expensive simulator I immedietly though of a stack of Raspberry Pi's with USB Wifi adapters.